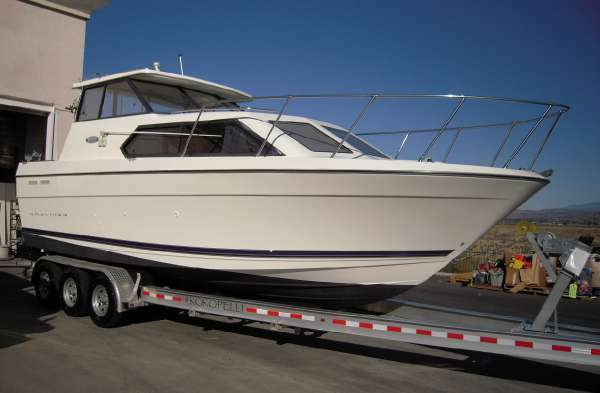 This Is A 2005 Bayliner 289 Classic Cruiser, Equipped WIth A Mercruiser 350 MAG Bravo-2, I/O, 300Hp. 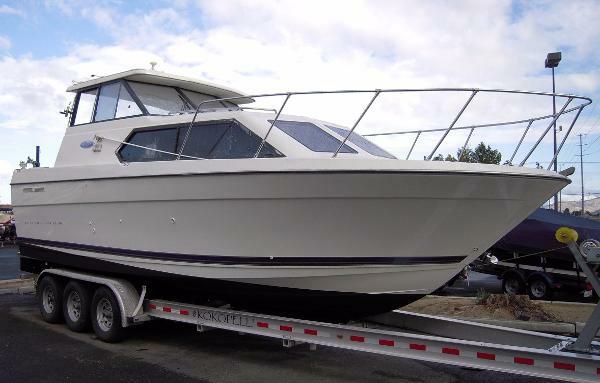 Includes Am/Fm CD Player, Depth Sounder, Battery Charger, Fish Finder, Garmin GPS MAP 238 Sounder, Air Conditioning,/Cockpit Heater, Shore Power, Fresh Bottom Paint, Radio/25 Watt VHF, Pressure Water System, Water Heater, Range, Refrigerator/Ice Maker Combo, Fuel Injection, Dual Batteries, Hard Top, Hydraulic Trim Tabs, Fire Extinguisher, And Swim Step With Fold Down Ladder. 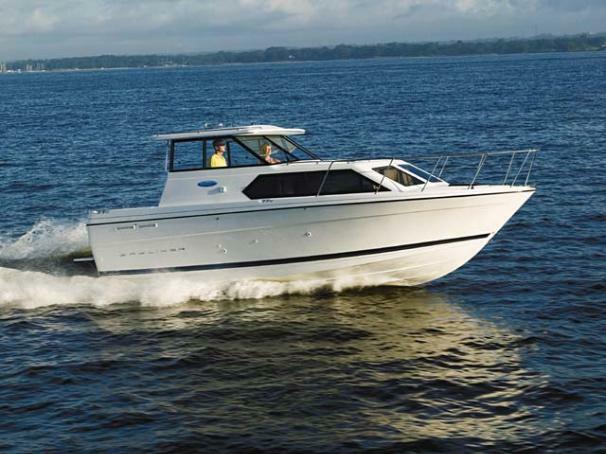 Has Driver Captain Seat V-berth, Aft Cabin, Enclosed Marine Toilet. Trailer Is A 2016 Kokopelli, Aluminum, Triple Axle. Trades Welcome. Come On In To Make A Deal! WAS Priced At $55,000 WITH THE EXTRA 10% DISCOUNT IT IS NOW ONLY $49,500!!! HURRY IN BEFORE THIS DEAL ENDS!! Mercruiser 350 MAG Bravo-2, I/O, 300Hp. 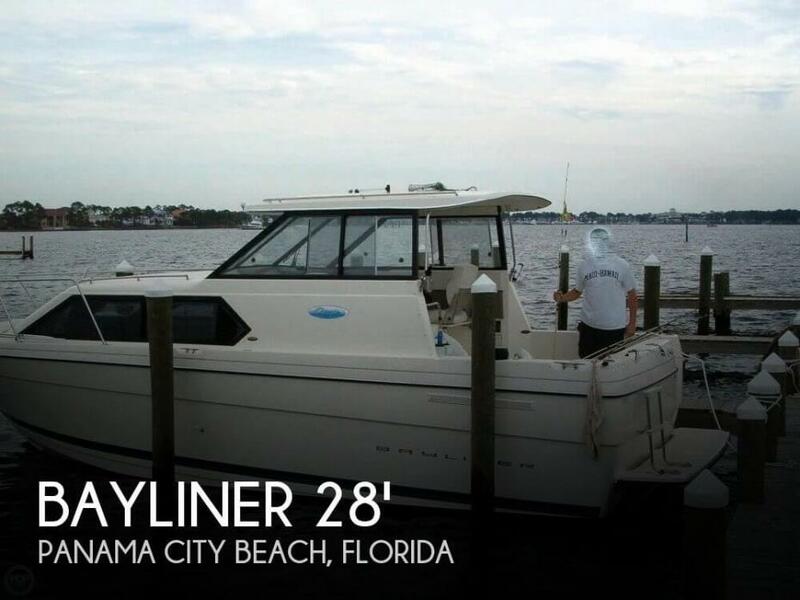 2005 Bayliner 289 Classic This Is A 2005 Bayliner 289 Classic Cruiser, Equipped WIth A Mercruiser 350 MAG Bravo-2, I/O, 300Hp. 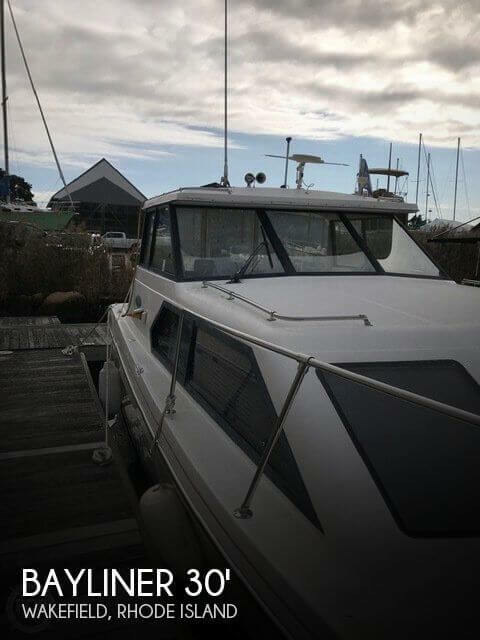 Includes Am/Fm CD Player, Depth Sounder, Battery Charger, Fish Finder, Garmin GPS MAP 238 Sounder, Air Conditioning,/Cockpit Heater, Shore Power, Fresh Bottom Paint, Radio/25 Watt VHF, Pressure Water System, Water Heater, `Range`, Refrigerator/Ice Maker Combo, Fuel Injection, Dual Batteries, Hard Top, Hydraulic Trim Tabs, Fire Extinguisher, And Swim Step With Fold Down Ladder. Has Driver Captain Seat V-berth, Aft Cabin, Enclosed Marine Toilet. Trailer Not Included. Trades Welcome. Come On In To Make A Deal! WAS Priced At $45,000 WITH THE EXTRA 10% DISCOUNT IT IS NOW ONLY $40,500!!! HURRY IN BEFORE THIS DEAL ENDS! !